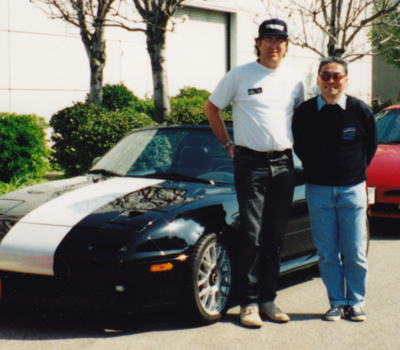 ABOUT US - MiataRoadster - Stay tuned with MiataRoadster! Thanks for dropping by MiataRoadster! We look forward to helping you optimize the power, handling, balance, reliability, safety, and fun of your Roadster. 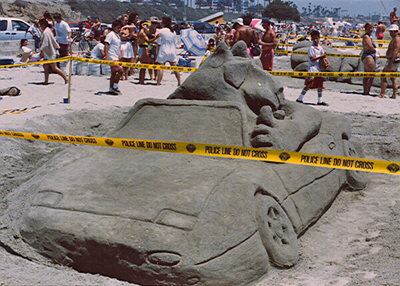 even though I had passed up becoming a Miata owner, I assembled a team of friends and entered an annual local sand sculpture contest; based on a clay model I made, we spent four hours at the beach constructing a life-sized sculpture of a Miata driven by a huge cat wearing sunglasses and giving a thumbs-up -- thanks to the "Miata fever" sweeping the nation at the time, we won first place! Please, always feel free to contact us with any questions!